Who Else Was Born In 1564? 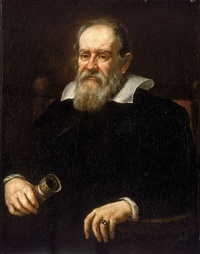 Galileo Galilei, the Italian astronomer who revolutionized our understanding of the solar system and ran into trouble with the Catholic Church as a result. 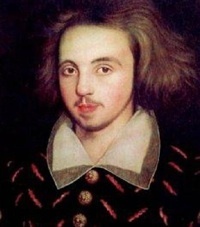 Christopher Marlowe, the first great playwright of the Elizabethan era and a huge influence on Shakespeare throughout his career. Marlowe wrote some of the most popular plays of the Elizabethan stage before being killed in a tavern fight in 1593 (unless you believe he faked his death and went on to write all of Shakespeare's plays — which we don't!). Want To Live With An Actor? The growth of ISC's summer Shakespeare festival is attracting more and more actors and theatre artists from NYC, Chicago, California, and elsewhere to come be a part of what we're doing here. That's very exciting! But we need help finding housing for some of these artists. If you or someone you know would be able to house an actor or needs a house-sitter for part or all of the summer, please e-mail us and let us know! Shakespeare was born in 1564, making 2014 the 450th anniversary of his birth. To celebrate, we're kicking off our Shakespearean Milestones series this year, focusing on plays that for various reasons hold a special place among Shakespeare's works. The series began with The Tempest at the Hangar Theatre in February and will continue with the most famous play ever written this summer. We're also expanding our educational program in a major way by offering a Kids' Shakespeare Camp for two weeks this summer, June 30 - July 13. This camp will be led by the Equity actor playing Hamlet for us, and at the end of the camp, your kids will get to perform Shakespeare on the ISC's summer stage at Cornell Plantations! Kids will learn to love Shakespeare's words and make them their own, while receiving training in voice, movement, improv, stage combat, and more. Was Shakespeare Really Born on April 23? Shakespeare died on April 23, in 1616. There is documentary evidence of that. 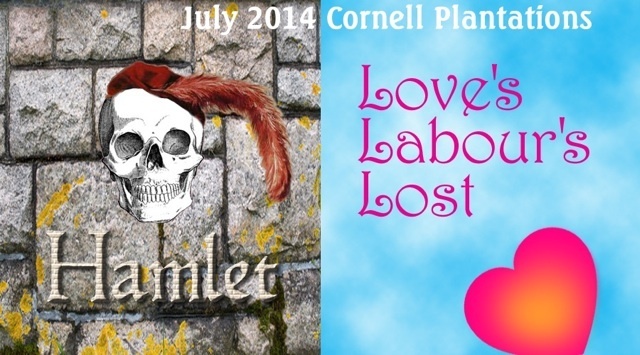 The Ithaca Shakespeare Company's summer productions have already become the largest Shakespeare festival in the Central New York region. And we've barely gotten started! We have a vision of continuing to build a bigger and better Shakespeare program that can rival anything else out there, and the Shakespearean Milestones series and Kids' Shakespeare Camp are important steps toward that goal. But we need your help! Our expenses are always increasing, and ticket sales alone can't come close to covering our financial needs — especially since we are strongly committed to keeping our shows affordable for everyone. At the same time, funding from government grants and corporate sponsorships is tighter than ever. So in order for us to continue doing what we're doing, we need your help. 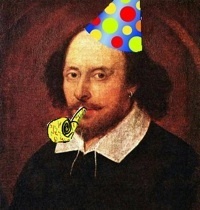 ...then please take this opportunity to give a "Shakespeare's Birthday" gift to support our work. $10,000 makes YOU the premier sponsor for the summer season! $25 lets us know you appreciate having Ithaca Shakespeare around! Contributions in any amount are helpful and greatly appreciated. All donations are tax-deductible, and every penny goes directly toward the work you see on stage or in the classroom. So please take this opportunity to visit our website and make a simple, secure donation to help us build an even better Shakespeare program! You can also donate by check if you prefer.